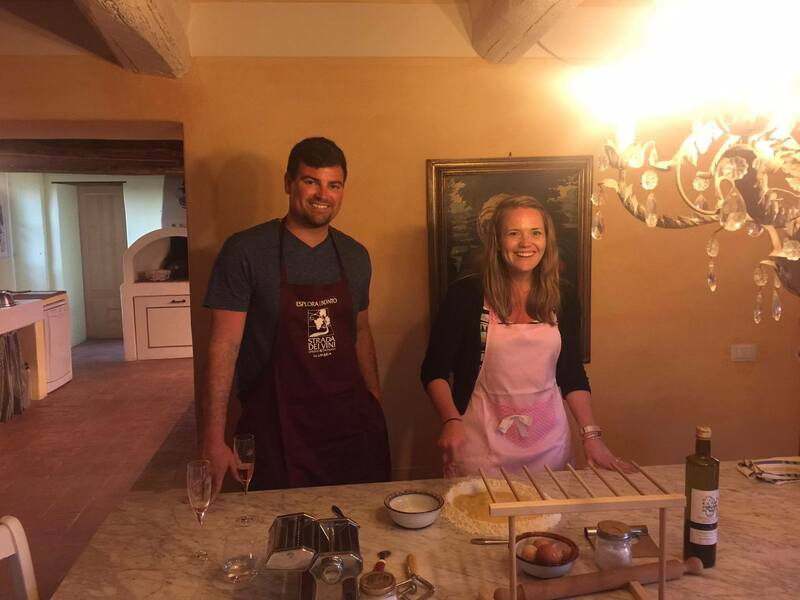 Gourmet Tour & Cooking Lessons in Italy: improve your cooking skills, visit some of Umbria’s most beautiful villages and towns while tasting our region’s amazing food and wine! 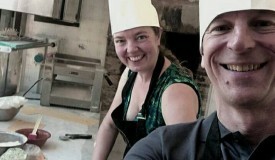 Join us here in Umbria, for 5 days of cooking, tasting, exploring. Discover Italy’s “green heart”, its flavours and culinary heritage whilst learning to cook classic Italian dishes and traditional Umbrian cuisine. Bring back plenty of memories to last for a lifetime! 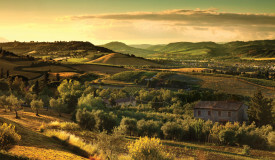 Day 5 Farewell breakfast - Time to say "Arrivederci"
Check in at your accommodation, a beautiful Farmhouse, conveniently located in the countryside between Spoleto and Montefalco.Welcome drinks and introduction to the Tour, followed by Guided Visit of Montefalco. Often referred to as the “balcony of Umbria”, Montefalco is celebrated for its unique location, offering breathtaking views of the Umbrian Valley, from Spoleto to Perugia, from the Apennines to the Martani mountains. One of the region’s prettiest hilltop towns, Montefalco is still completely surrounded by medieval walls and gates and the Church of Saint Francis houses famous Renaissance frescoes by Benozzo Gozzoli and Perugino. Well known for the Sagrantino, a strong and full-bodied red wine that’s appreciated by wine lovers around the world, Montefalco is a regular stop on any “food & wine” tour. Sagrantino di Montefalco is infact one of only two Umbrian wines to be awarded the prestigious DOCG (Denominazione di Origine Controllata e Garantita –the highest Italian wine appellation) and the area also produces the excellent Rosso di Montefalco. After our Guided Walk, we will enjoy a Private Tour followed by tastings at one of the area’s most important Wineries. Dinner tonight, will be held at a charming Inn nearby where bubbly Florentine Chef (and owner) Andrea will spoil us with his Tuscan/Umbrian cuisine. Day 2 starts with a morning visit to a traditional olive oil mill near Trevi to sample the area’s extra-virgin olive oils. Extra-virgin olive oil is a staple of Umbrian cuisin and the olive oil from Trevi is renowned throughout Italy as being among the country’s finest. We will then travel to nearby Spoleto for lunch at a typical Umbrian restaurant, followed Private Walking Tour of Spoleto’s historical centre. 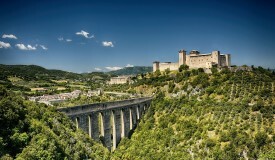 The tour will take us through Spoleto’s quaint medieval streets and we will visit all of the main sights, including the Duomo (Cathedral) with its frescoes by Pinturicchio and Fra’ Filippo Lippi and the Ponte delle Torri, Spoleto’s striking 13th-century aqueduct. Later in the afternoon it is time to roll up your sleeves for your first Cooking Lesson. 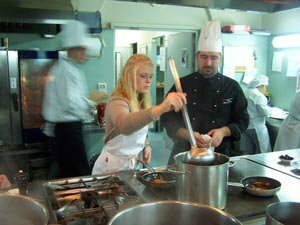 Cooking Lesson 1 will take place in a restaurant and will be led by a professional Chef. 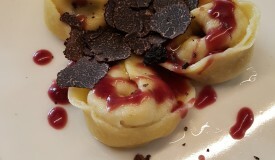 The exact menu will be provided at the time of booking but it’s likely to consist of one primo (such as a pasta dish or gnocchi) and one main course (such as braised veal in Rosso di Montefalco wine sauce). Following an aperitivo, dinner will consist mainly of the food you have prepared at the Lesson. 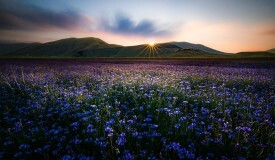 This morning we will head for the city of Assisi, known throughout the world as the birthplace of Saint Francis. 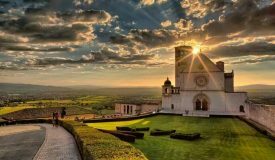 We will take a Guided Walking tour of the city and see the main sights, including the spectacular Basilica of Saint Francis with frescoes by Giotto. In Assisi we will also have a light lunch, including salamis and hams accompanied by the local Torta al Testo bread. In the afternoon, second Cooking Class. 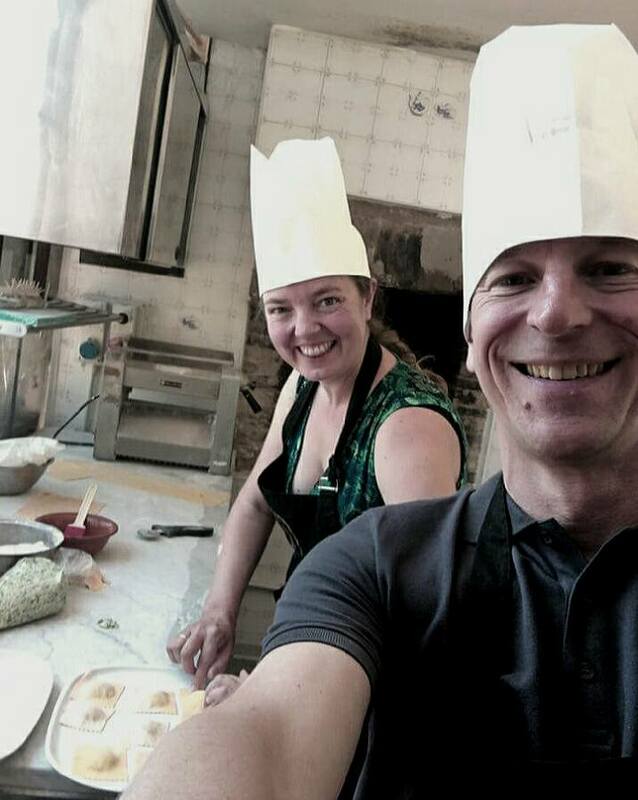 At the lesson you will learn to prepare traditional Italian and Umbrian cuisine using seasonal ingredients, such as mushrooms and chestnuts in autumn or wild asparagus and rocket in spring. Again you will get to enjoy the results of your efforts at dinner. Day 3 and time to take a trip through the beautiful Valnerina area of Umbria, stopping off in the walled town of Norcia. Norcia is famous throughout Italy for its charcuterie, cheeses and truffles and most Italian cities boast a Norcineria, selling salamis and other cured meats. You will also get some free time to explore Norcia’s many delicatessens and stock up on local delicacies. Depending on the season, lunch will either be an al fresco picnic of Italian salamis, cheeses and breads in the stunning Monti Sibillini National Park or lunch at a rustic trattoria in Norcia. In the afternoon, third and final Cooking Lesson. 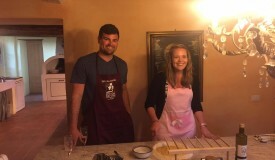 Again at the cooking lesson you will prepare Italian staples such as pasta and seasonal Umbrian dishes before once more testing your own culinary ability at dinner. After the final cooking lesson you will also receive a Certificate and a special gift to remind you of your time in Umbria. Day 5 - Farewell breakfast - Time to say "Arrivederci"
Farewell breakfast and check out from your accommodation. Alternatively why not allow yourself a few extra days to take in some more sights or spend time relaxing? Let us know and we can discuss options. This tour can be customized for private groups and couples. The tour can also easily be extended by adding one or more of our other tours before or after this tour -see our other Group Tours and Custom Tours.